Hey yall! I am extremely excited for today’s Texas Music Thursday. As you all may recall, last week’s post ended with me reminding you that you should always support local music, fill up the venues, because you never know what you may be missing out on. And completely stand by this 100%! Those that have been reading my posts for the last couple of months may remember than one of the first things I did once I decided to move to South Texas was look up local Country acts. This was actually how I found Matt & The Herdsmen, and Costello. However, it wasn’t until a couple of month after I had moved to South Texas that I found out about- Southern Ashes- I had seen on social media that there was an event coming up- “Little Nashville in Mercedes” and they were to be a part of it. So, as usual I started searching for more information about them. I couldn’t find much besides their social media accounts-facebook, twitter, and instagram, I made sure to follow them all. I ended up not going to the event. Thankfully, they were active enough on social media that I was able to keep up with their shows and other events. Somehow, it never worked out for me to be able to attend their show. There were weekends where they would have shows every single day, and even multiple ones in a day! They even participated in an event with KYLE PARK! It wasn’t until I saw a video posted of them covering “Wear my Ring” by Bart Crow Band, that I realized just how great they were as a band! That’s when I made it a mission to attend their show. When I met one of my coworkers, what sealed the friendship was our common interest in local country music. She always spoke highly of Southern Ashes, and mentioned how her and her husband would go see the band, any opportunity they had. Needless to say, she was the one that invited me that Friday January 29,2016 to Hillbilly’s. at first I was hesitant, because it was last minute..but after 5 minutes of thinking about it, I decided to call up a friend & see if she would go with me…. When we arrived to Hillbilly’s the band was on a break so everybody was around doing their own thing, yet from the moment they walked on to the stage and began to play the music demanded for our attention. Not only that, they began with Wear my Ring by Bart Crow, and from that moment I realized they had exceeded my expectations. I remember my friend turning towards me, saying “ Wow, they are really good”. Keep in mind, she herself is from South Texas and didn’t know who Southern Ashes was! The band continued to play from a variety of songs, anything from Wagon Wheel to Boots Scoot Boogie and everything in between. I enjoyed that although most of the songs were covers, it didn’t sound as they were. The band sounds well put together and comfortable with one another, vocals and instruments come together rather than trying to overpower each other. This is what helps them create their unique sounds while playing some well known tunes. One of my favorites parts throughout the show was that before moving on to a song, Matthew Rodriguez the lead vocals would occasionally give a story line…well not really a story line, more like a narration to different scenes that occur while at a concert/bar. I loved that, it was distinctive to them and although during that day I could not relate to a many of those small scenarios I knew exactly what he was talking about. It made the performances more relatable, and I am sure in many cases it was what gave some the courage to go dance with the person they had been wanting to all night. Great pep talk Southern Ashes! A second thing that I noticed that I really appreciated, was that the band didn't take themselves too seriously. I mean, they took what they were doing seriously, but they were also willing to engage with the audience on and off the stage. They even agreed to sing a happy birthday here and there. Not only that, but during their breaks, they would interact off stage with those present, thanking them for their support. It is the little things like these that makes a band stand out. 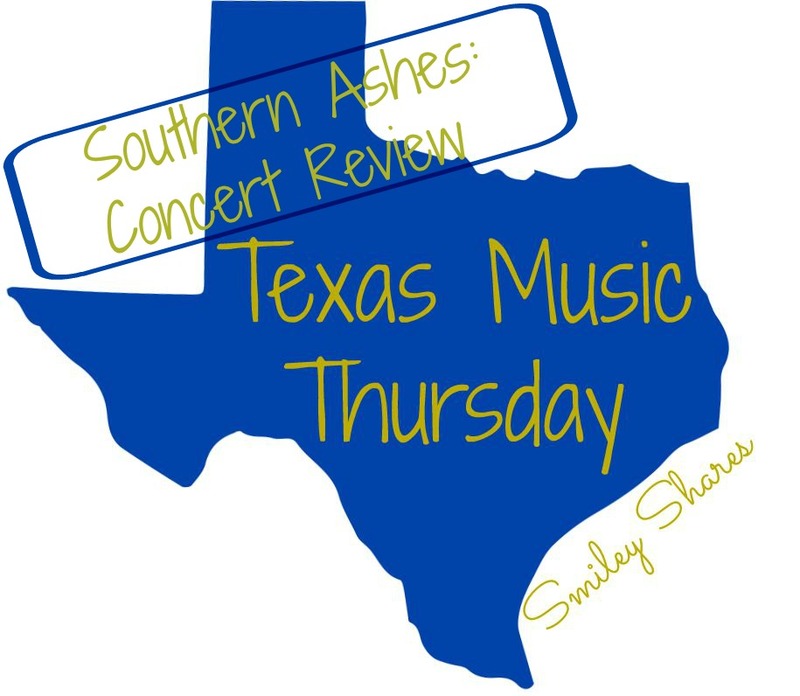 As a band who at the time was a couple of weeks short of their one year celebration (1 yr. was celebrated 02-14-16), Southern Ashes truly impressed me. Obviously, there is always room from improvement, but I certainly believe they are on the right track. The only negative I would have to say is...I would love to hear more original music not that I didnt love the Josh Abbott & Randy Rogers songs, but I when you have seen a glimpse of what their original music sounds like, you just want to continue listening to it. I understand that it will come with time as they work their way up to recording an album, which I know many folks are excited for. Now, don't they sound like an excellent band? I think so, which is why I find myself constantly surprised when my South Texas friends don't even know who I am talking about! Slowly, I am trying to change that. The friend that went to Hillbilly's with me, loved them so much that she is already planning for a second show. I honestly believe, that Southern Ashes is the hidden gem of South Texas Country Music, but I have a feeling 2016 will be theirs. I look forward to the new music and hopefully more shows. As a celebration & to congratulate them on the 1 year please follow along on their social media! Hello from Houston! :) Local artists need all the love they can get. I know a few Texan bands but they're more indie rock. Whaaaa??? I am originally from Houston, and visit occasionally! 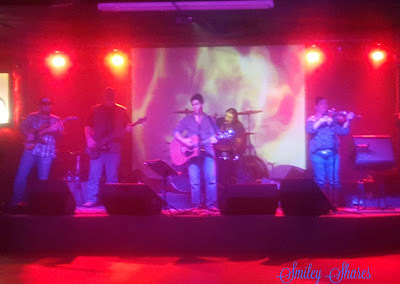 My last concert review was from a show at the Firehouse Saloon in Houston. I know a couple of local Texas Country artists there. I am always willing to listen to knew bands/artists so send me their names. Woo! Sounds like fun! How great that you were able to go see them!!!! !